There is no other more efficient way of transferring your valuable possessions across to OZ than using the ocean. Find out all stages of the whole process. The rates of your sea cargo transport will depend on many factors. By reading the article below you will get the picture of what is involved and what to do to obtain a proper valuation. Sea freight - means to rent all or a part of the ship for transporting cargo or other goods. The sea transport brakes into two types of traffic - linear and tramp. Liner services are regular - ships are on a certain route, go with some frequency to and form certain ports. 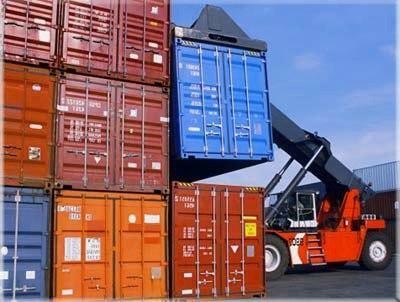 The freight transport is relatively cheap - the cost depends largely on the nature of the cargo, its weight and volume. The tramp sea shipping charter is different. The conditions and rates are negotiated separately for each case. Therefore tariffs for freight transportation in tramp have a much greater tendency to fluctuations than in the case of the liner. Getting a good, reliable sea freight forwarder can help you to reduce the costs of your sea freight. Find out more details below on shippers! The sea shipping charges may very depends on the type and the size of the company you will use. The first step is to get a proper quotation that will include all possible options you may want to consider. When contacting UK sea freight forwarders and requesting prices make sure the sea transportation quote will be valid for at least six months. However it may be a difficult task and some forwarders may not be able to provide a fixed price for such a long time. The ocean shipping market is very alive and the ferrying rates keep changing on the daily basis. They are also subject to the regular changing law in specific countries. 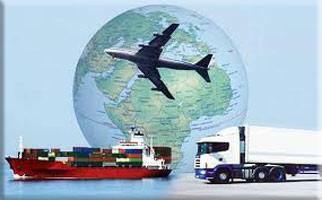 The knowledge of the Australian customs, importation and taxation law is very crucial. Not all goods can be shipped by sea. If you do not comply with the rules your belongings may be returned to the UK at your expense or simply the may be destroyed. This one of the main reasons why you should choose your UK sea freight forwarding company very carefully. International sea freight carrier – this is one of those huge corporations owning vassals and offering sea transportation to UK businesses from UK ports to ports in OZ and other parts of the world. Australian customs clearance and quarantine officers – once your cargo have reached a port of destination it will be picked up by customs and quarantine people. This is where all your goods will be checked and examined. Sea shippers – after your consignment has passed the examination and gone through the quarantine your load will be released and ready to be picked up. Usually none of the UK movers have their own branch overseas. However they work very closely with many agents across the ocean. By the time your possessions have gone through all the exportation procedures all the arrangements will be in place. Your goods will be collected and delivered to your new home without any delay. Competitive rates on the sea container traffic is the result of the continued work on the development of partnerships with the agents of the world's leading shipping lines and the creation of a network of agencies and freight forwarders that represent each other interests in the major ports and cities of OZ. Providing substantial discounts from the linear ocean carriers and the opportunity to optimise the cost of cargo operations at the ports of shipment enable to significantly reduce the cost of the transport, thereby ensuring the good value for money service. You must also be aware that most small, local firms providing worldwide sea transportation services are just agents. They are too small to sign contracts with the world’s leading 20 foot container shipping lines and negotiate good rates with them. So what do they do? They obtain quotes from bigger relocation companies and add their commission to the final price that you get. So it is quite obvious that more competitive will be to get sea shipping costs national sea forwarding companies. The cost of the sea freight is composed of a number of factors that have a direct bearing on the cargo. The sea freight rates are affected by the price of works on the packing, loading and unloading of goods, the cost of fuel, fees at ports and many more other factors. Given the current world economic situation, the traffic flow and the total volume of all sea shipments decreased significantly year by year. This should be reflected in the cost of the ocean freight. The sea shipping rate in 2014 was significantly lower. Despite this, life still goes on, and soon the global economy will pick up which will result in the increase or the demand for maritime transport of goods, and, therefore, the chartering. The prices should get lower again. The advantage of using national cargo international sea freight forwarders is that they are the major players on the haulage market. By building relationships with the main sea carriers on the basis of mutual cooperation they are able to provide the speed of the delivery and minimize the cost of the move to Australia. The result of their long-term collaboration is providing you with the substantial discounts on the sea shipping to all major ports: Sydney, Freemantle, Melbourne, Adelaide and many more. Another significant advantage of using a large company for your sea freight is a possible network of sea shipping and relocation agents in all major ports. This allows them to monitor the local rates on the instant and daily basis. They can also make all necessary arrangement at the port of entry, including work on the import and export customs, cargo pick-up and delivery, obtaining the necessary licences needed to complete your sea cargo transport. In addition the agents at foreign ports can carry the whole range of works and control the process of loading and unloading of cargo, which provides a high degree of safety to your goods as they are dealt with by experts. The agents’ work can also include surveying, documents preparation and all the custom agency activities at the port of departure to prepare your possessions for voyage by sea ensuring its smooth transition and customs clearance at the ports of intermediate handling and ports of entry. This meticulous and careful approach to the process of sea shipping is found very well by the end-users. It is also appreciated by the removal companies using the service. The constant and repeat orders let keep the vassals full which enables to offer discounted and competitive rates of sea transportation which reduces the total costs of the delivery to the final address. It is also important to be able to track your cargo on the sea. Only large sea freight forwarder have the system in place that allows you to check online where your goods are at any time you want. You do not have to worry about preparing the export documentation. The idea of using a large sea shipper is that they will handle the necessary paper work from the start to finish, calculating the tax and all additional costs and keeping you up-to-date. The service should also include some kind of support, indication or provision of cargo insurance while in transit – The shipping insurance that would cover all the stages of the service. Moreover, considering the sea lines to be professionals in the field of all possible operations with goods, they are able to offer their own insurance coverage to individual stages of the transportation, which is believed to have the necessary damage coverage.